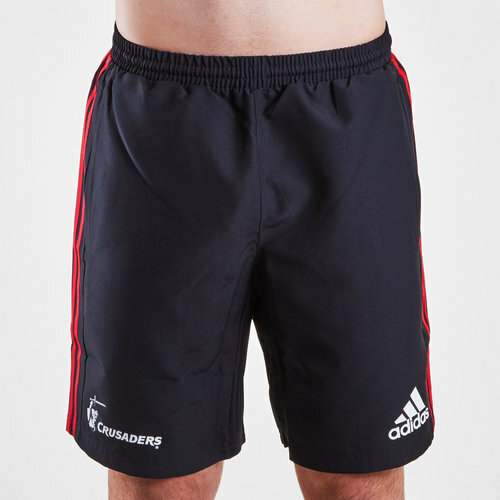 Go crazy for the Crusaders when you pull on this Crusaders 2019 Super Rugby Woven Training Shorts In Black and Scarlet. These shorts feature sweat-wicking fabric keeps you dry when you're working your hardest in a game. They are black with the adidas classic 3 stripe motif on the sides of the shorts in red. The club badge is on the right whilst the adidas logo is on the left.